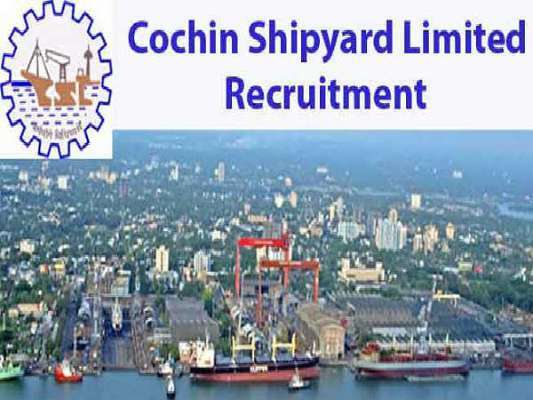 Cochin Shipyard Limited is the largest shipbuilding and maintenance company in India .It is situated in the port city of Kochi in the state of Kerala.This public sector undertaking invites application for the post of CSR Project Manager on contract basis for a period of 1 year. Education qualification - Post graduate degree in social work( with specialisation in any field) - Business Management - Business Administration - Human resource management - Mass Communication - Public Relations - Rural development - Environment and Science - Development studies - Public administration of minimum 2 years course from universities or Institute recognised by UGC - AICTE . 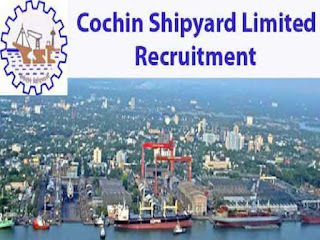 Candidates should be proficient in Malayalam and English languages.Knowledge of Computer and Hindi language is desirable. A Minimum 10 years of post qualification experience in the area of Social Work - Business management - Business Administration - Human resource management - Mass Communication - Public Relations - Rural development - and Management and Science - public administration in any large or reputed organisation in India. Out of this 10 years of experience, at least 3 years as Head of any department or community - social - environmental development - projects in the respective organisation for CSR activities.